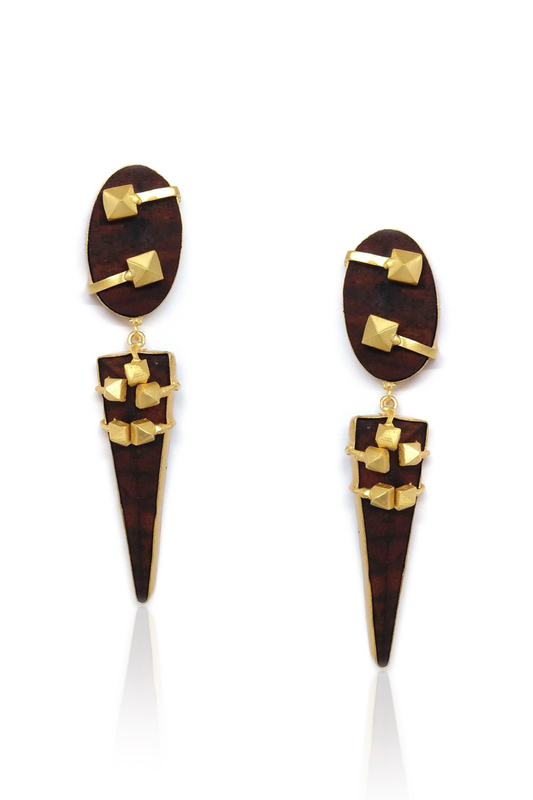 Bay Leaf Accessories creates a statement-maker earring customizing it in spiky danglers and gold studs. Pair the earrings with your little black dress for an appealing look. CARE: Keep away from water and perfume.